Luxonic has expanded its range of LED lighting specialised for the retail sector with its latest addition, Teardrop LED for Linearlux®. Highly efficient LED’s provide gentle and appropriate light levels that combine with sleek design aesthetics in order to offer an all-encompassing lighting solution for retail environments.The carefully designed Teardrop LED allows for integration with the Linearlux® trunking system. The Teardrop LED, which is only 47mm deep, achieves up to 110 luminaire lumens per circuit Watt to ensure high efficiency to contribute significantly to the overall energy efficient lighting scheme. A soft opal appearance lens is used to create a well-lit yet controlled environment. 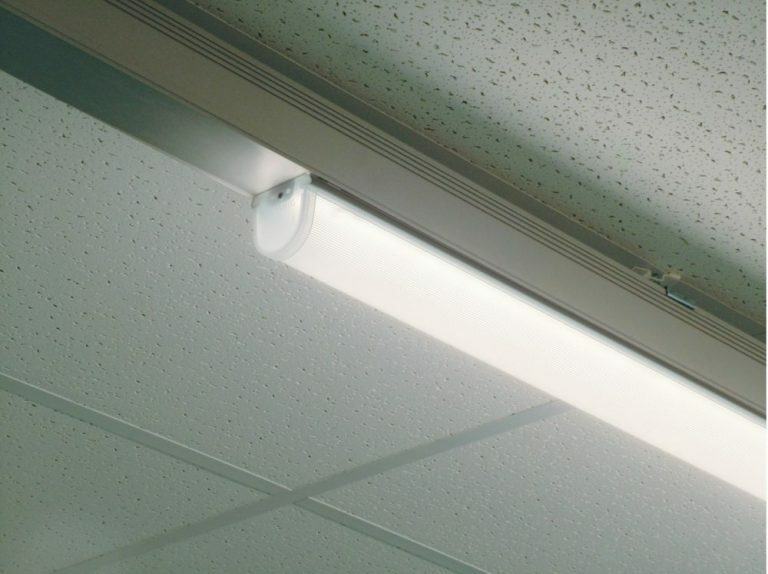 The aesthetics are further enhanced with the use of translucent end caps that can provide an unbroken lit appearance when installed in a continuous line. The clever adoption of the Linearlux® trunking system allows the Teardrop LED greater versatility for use in retails areas. The trunking system can be used for single runs or complex grid patterns with corner, T and cross sections. This element of flexibility means that it is able to incorporate linear lighting with spotlights, offering greater creativity in the lighting design. The Teardrop LED benefits from the self-contained power distribution the Linearlux® trunking provides, further simplifying ease of use in even the most sophisticated lighting schemes. The result is a lighting scheme that provides optimum light levels while retaining an ambience that showcases the retailers’ goods in a way that increases the chance of purchase.